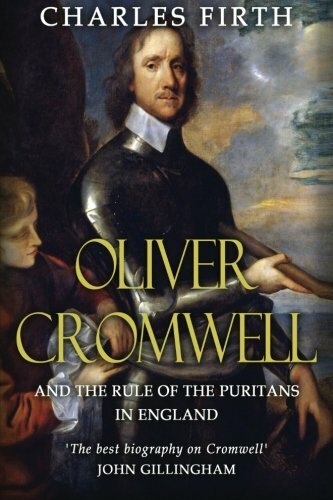 Oliver Cromwell (1599 – 1658) is a contentious figure in British history. Some see him as a defender of Parliamentary democracy fighting a tyrannical King. It is argued his defence of Parliament led to the development of a modern democracy. However, others see him in a different light, pointing to his seizure of power as the ‘Lord Protectorate’ and the massacres of the Irish and Scots which were a form of genocide. He has also been criticised for his rigid puritanism, although in his reign Jews were permitted to re-enter Britain and there was a certain religious tolerance. Oliver Cromwell was born in Cambridgeshire the son of a middle-class gentry. He studied at Cambridge University and in 1628 was elected to parliament for the Huntingdon seat. On the outbreak of civil war in 1642, Cromwell joined the side of the Parliamentarians. He started off by commanding a small troop, but, ended up commanding the whole Roundhead army. Oliver Cromwell (5 September 1644). Cromwell persuaded parliament it was essential to develop a modern professional army. Cromwell’s so-called ‘New Model Army’ was instrumental in defeating the Royalist forces, most decisively at the Battle of Naseby in 1645. After the defeat of Charles I, Cromwell was instrumental in seeing the King executed. Cromwell then continued to lead his army against resistance in Scotland and Ireland. Cromwell was ruthless in dealing with his enemies. Even after soldiers had surrendered they were often all killed anyway. 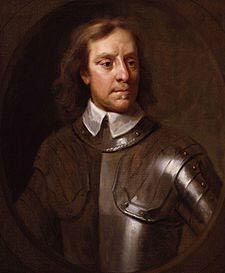 By 1651, the civil war was effectively finished and Cromwell set up a Puritan convention or ‘barebones’ parliament. But, he was dissatisfied with this and later had it dissolved. He gave himself the title of ‘Lord Protectorate’ – refusing offers of the crown. He died in 1658. After the restoration of the monarchy, Cromwell’s body was dug up and hanged.